12th President of the United States (1849–1850), with Millard Fillmore; army major general (1808–1848). “Taylor, Zachary” in Encyclopædia Britannica (9th ed., 1888). 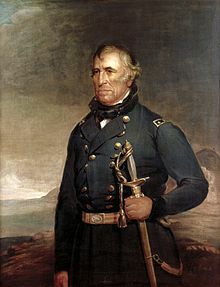 “Zachary Taylor” by Jefferson Davis in The Presidents of the United States, 1789-1914, 1914.